Jeff Svoboda of Blue Jackets.com: Columbus Blue Jackets pending unrestricted free agent Artemi Panarin met with the media yesterday and did an interview in English a day after switching agent. He has never done an interview in Engish before. Panarin will test free agency no matter where he ends up. Blue Jackets GM Jarmo Kekelainen has some tough decisions ahead of him. 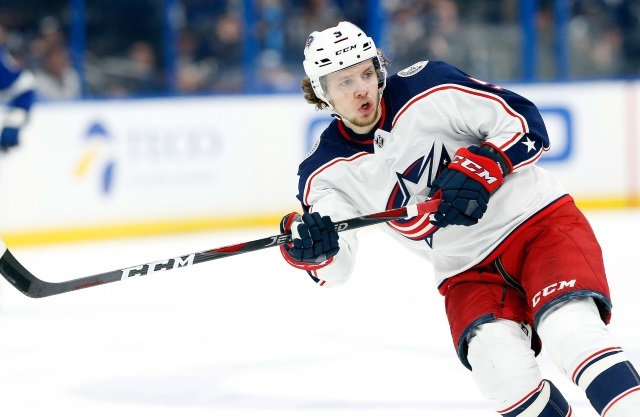 The Blue Jackets could also look to trade Panarin before the deadline. Brian Hedger of The Columbus Dispatch: Artemi Panarin on if he already has a team and city picked out for free agency. Blue Jackets GM Kekelainen is listening to trade offers on Panarin, so it is possible that he’s moved before the trade deadline, and Panarin knows it could happen.